We've put together a few resources comparing the size of our Seecamp pistols to that of other small handguns. One is a visual chart in PDF format (courtesy of Robert Oremland) showing the relative size and weight of our pistols and those of our competitors. Also available, thanks to David Atkinson, is a series of overlay photographs that visually demonstrate the size of a Seecamp pistol compared to ten other handgun models. And finally, for those who wonder if all three Seecamp pistols really are the same size, click here for the photographic evidence. Now available in PDF format is our Size/Weight Stats chart which gives detailed specs for our pistols and several of our competitors. They Really ARE The Same Size! 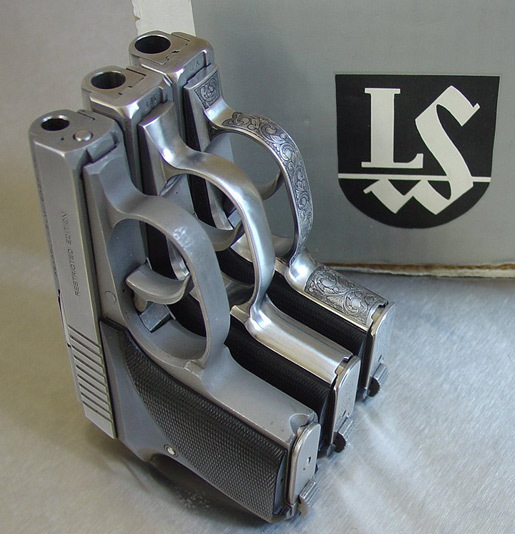 When most manufacturers say that pistols are the "same size," they mean the same size only one is a little bigger - like a half inch here and a half inch there. 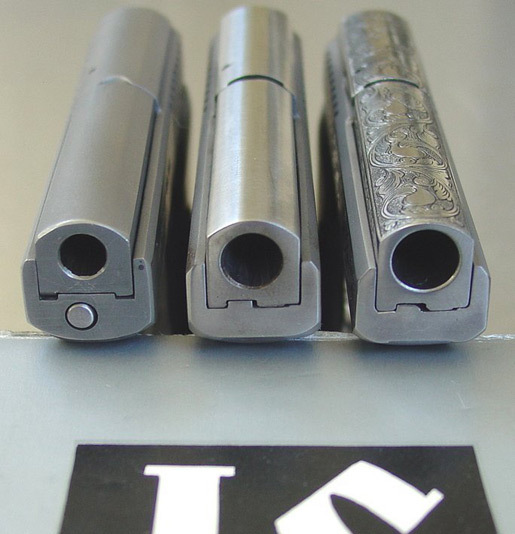 As you can see from Larry's good friend John Dommers' photos below, all three Seecamps - the .25, the .32 and the .380 - really ARE the same size.